If you're looking to get into hunting but don't want to break the bank, Barnett's Rogue is a perfect crossbow for you. At this point everyone that loves crossbows has heard of Barnett. They are one of the most reputable companies in the field and have great customer service. This year it seems like they went all out in improving the hunting experience. Designing the Rogue is certainly part of that plan. In this Barnett Rogue Crossbow review, not only will we explore all the good things this bow has to offer and let you know if it's right for you. Check out current prices for the Rogue Crossbow here on Amazon. NOTE: Barnett has released a newer version called the Barnett Whitetail Hunter Pro STR. The Whitetail Hunter crossbow series has been very successful for Barnett. The reason is simple: Barnett makes great crossbows. The Whitetail Hunter Pro is a nice upgrade to the previous Whitetail Hunter crossbows. Keep reading this Barnett Whitetail Hunter Pro review to see if you think the upgrades make it worthy of your next purchase. 2017 Barnett Recruit Tactical Review – Perfect For Beginners? 2017 has been a big year for Barnett. They have introduced quite a few new crossbows that have raised the bar in capability. The Recruit Tactical has blown its predecessor out of the water in terms of speed, draw weight and more while still maintaining the same quality and design. Along with the Recruit Terrain, the Tactical is the cheapest compound in Barnett's new line. (Check current prices on Amazon) This makes it a great low budget crossbow. Don't let the price fool you though - this crossbow has a lot to offer. In this Barnett Recruit Tactical review, we will find out just how much value you will get from this compact crossbow. With the Barnett Game Crusher 2.0, you get a no frills crossbow that is great for somebody just getting into the sport. 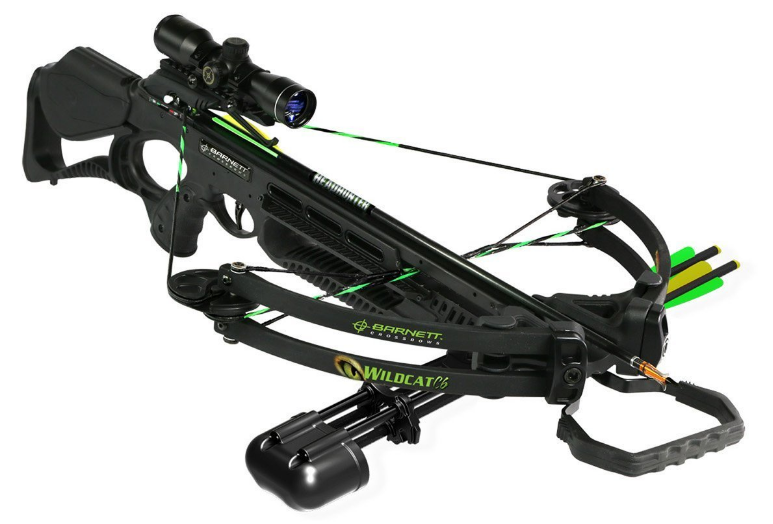 It’s a lightweight, easy to handle crossbow that is great for the range or for hunting. In this Barnett Game Crusher 2.0 review, we hope that we can answer all of your questions so you can see if it is the right crossbow for you. 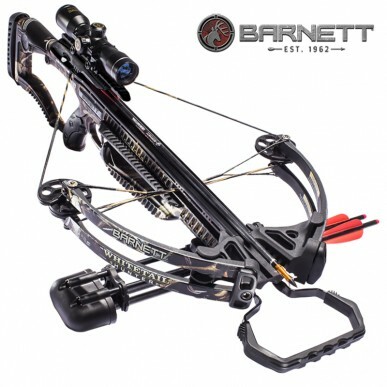 Barnett is known for constantly upgrading their crossbow line. This article will cover all of the new 2017 Barnett crossbows. This year they released a wider range that covers all skill levels and price points, and also crossbow types including compound and reverse draw. They've added improvements to some of their top sellers, such as the Whitetail Hunter, Raptor, and Quad Edge. Barnett released several new crossbows in 2016, one of them being the Droptine. The Barnett Droptine crossbow was introduced to help round out the crossbow offerings for hunters looking for more than a beginner crossbow, but not spend as much as a top of the line crossbow. The Droptine is a good buy if you're looking for a crossbow under $500 (see on Amazon). Barnett discontinued the Brotherhood and essentially re-branded it as the Droptine, but with several enhancements. Intermediate crossbow hunters will find the features plentiful, and the specs are great for the price. I will cover all of those items in detail in this Barnett Droptine review. A new low cost crossbow has been introduced by Barnett Crossbows in 2016. 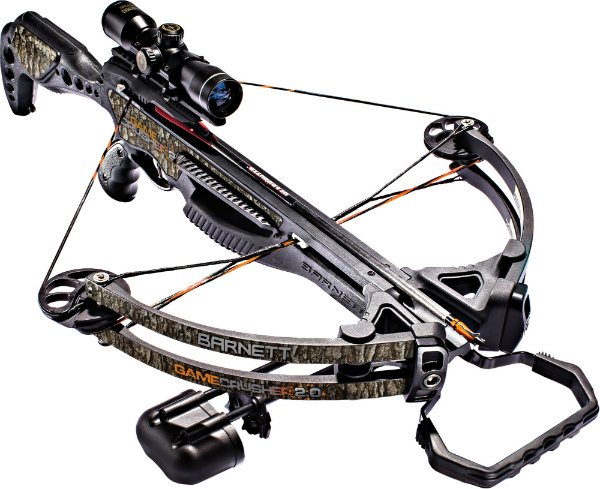 The Barnett Raptor FX2 is a great intro crossbow that offers a lot of value. It is available in three ﻿﻿different ﻿﻿﻿packages ﻿﻿﻿(see on Amazon)﻿﻿. One comes with a 4x32 scope, one with a Premium Red dot scope, and the Lady Raptor FX2 crossbow. In this Barnett Raptor FX2 review, I'll cover the specs, all of the features and the accessories you can pick for this crossbow.